Fun things happen whenever I work with Leah, aka DJ Siix (@mynameissiix), and this 90’s inspired shoot was no exception! This beauty is not only a killer model and great MUA, but she is also a DJ who can throw down some killer sets. Leah and I have worked together several times during which we have become good friends, so our shoots never feel like work! 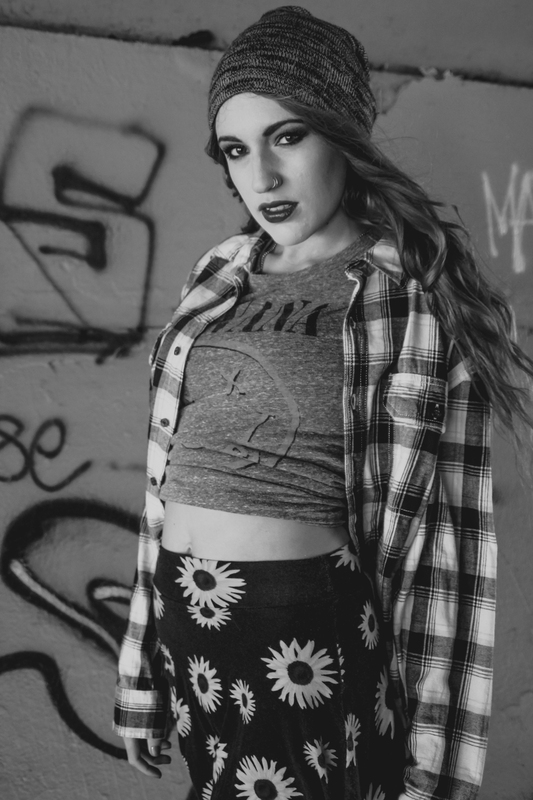 We had brainstormed this 90's shoot prior to meeting up and decided we wanted to capture both the fun bold prints and the grunge styles of the decade. We decided to shoot in and around Leah's complex and neighborhood - which lent itself nicely to the overall feel we were going for. The flannel also worked great in this extra casual crop and cutoffs look! Sometimes the best way to make a shoot really pop is to simply explore the surrounding area. This is one of he reasons Leah and I chose to shoot in her neighborhood- you never know what great backdrop is just around the corner! We chose to shoot this plaid skirt/MTV tank look topped with Sunscape Eyewear Aviator shades in a little alleyway we stumbled upon that offered many different fun places to snap the perfect shot. We ended our shoot back in Leah's apartment complex. 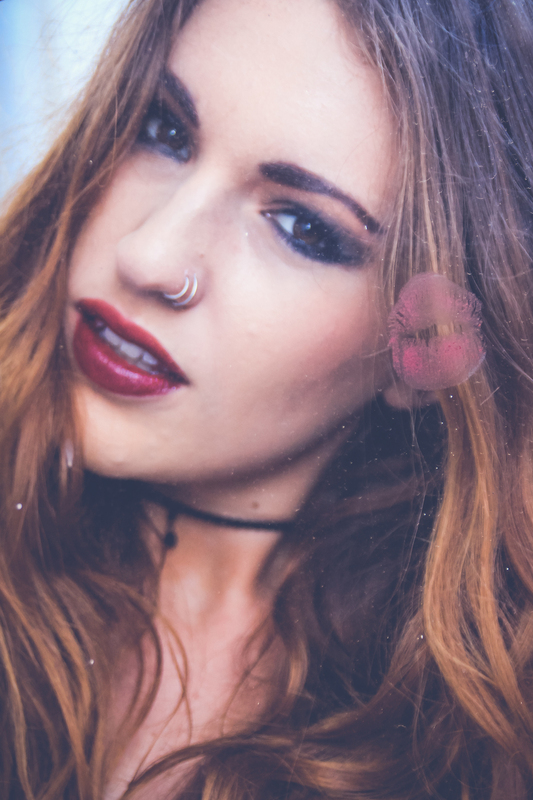 We have collaborated on another shoot in the past here but it was just too good to not shoot this last grunge look in! Leah is wearing an American Apparel body suit and vintage high waisted shorts - a simple combo but it really pops with her flowing strawberry blonde hair! Right as we were about to wrap we found a huge box that just screamed to be shot in, so we threw that trusty yellow flannel back on with some white circle rimmed Sunscape Eyewear shades and made it happen! I'd like to send a huge thank you out to Elision Magazine for publishing this set! This is an amazing online magazine that I have worked with quite closely in the past. In fact, I have a huge announcement coming soon about a new partnership with this great publication, so stay tuned! And be sure to check back in the next few days for a new set of shots, featuring the amazing face of Young, Free and Style Obsessed! !